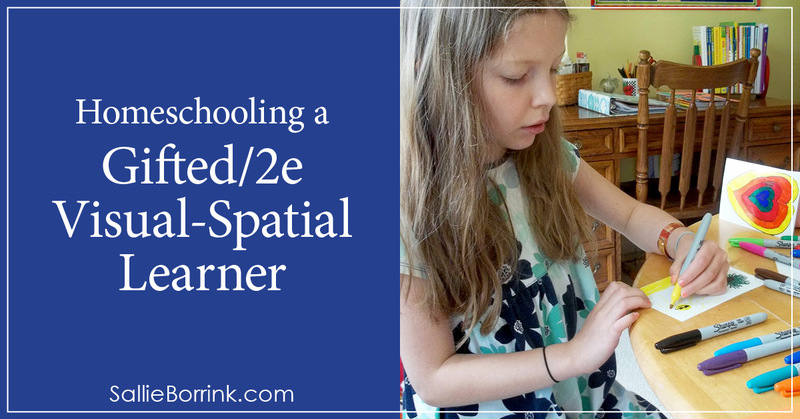 We’ve undergone a significant shift in our homeschooling philosophy over the past year as we’ve come to a greater understanding of Caroline’s giftedness/2e situation and more about the fact that she is a visual-spatial learner. 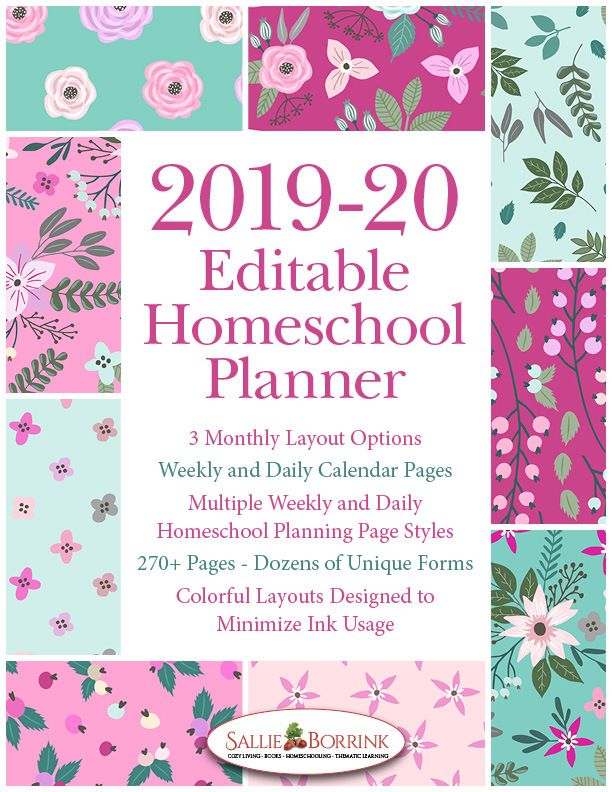 I can easily see at least 100 reasons to homeschool your gifted daughter and know that a school setting will not work for us. This is a good overview of what it means to be 2e. You can see all my previous posts about gifted/2e children here. 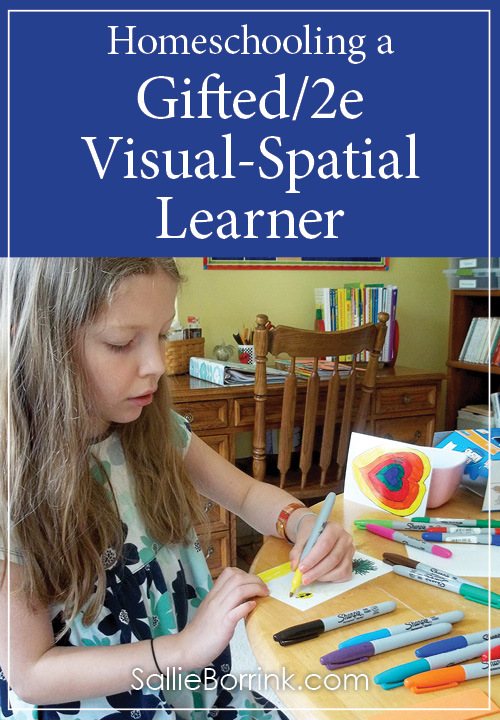 If you think you might have a visual-spatial learner or are curious what that means, here are some different resources. 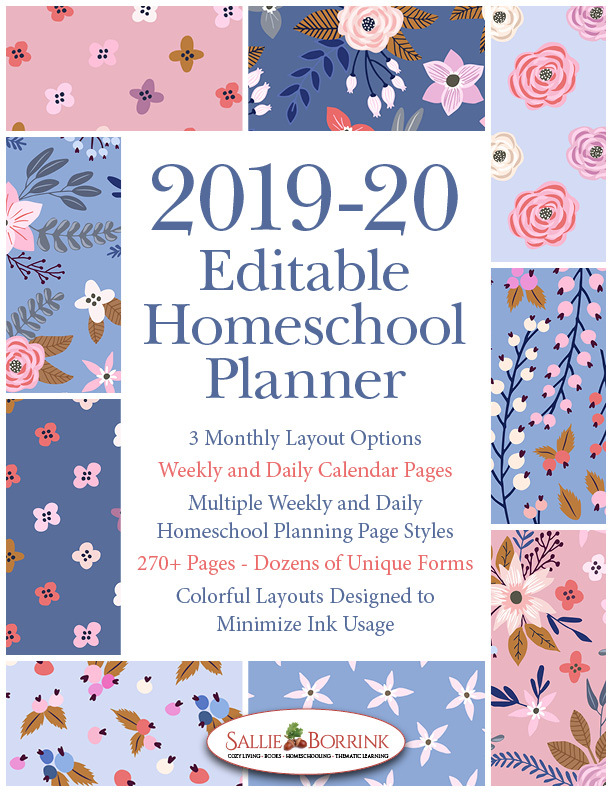 Amy at Eclectic Homeschooling has several posts on homeschooling her visual-spatial learners including this gem, Homeschooling a Highly Imaginative Child, that made David and me laugh out loud at the simple matching exercise photo that reminded us of our own example. David and I had very different high school experiences. He was artistic from the time he was a little boy and knew that he was going to be a designer of some kind whether it was architecture or graphic design. As a result, he took many classes in those subject areas and only took the science and math classes he was required to in order to go to college and study design. The visual spatial style appears to be hereditary. In all the visual-spatial learners I have seen, there is always at least one parent who shares this learning style with the child. For example, David and Caroline both enjoy playing Minecraft (and now Terraria ). Minecraft is visual-spatial heaven. The mere thought of playing it makes me want to curl up in a ball. It literally gives me a headache and my brain tries to shut down when Caroline is whipping around Minecraft on her Kindle Fire , showing me what she has done. David and Caroline can also spend hours happily playing with LEGOs , TinkerToys and K’nex . David thinks in pictures, he does mental math in ways he has invented for himself, etc. Caroline is the same way. She has figured out math concepts I’ve never taught her. She will spontaneously tell me answers to math problems in real life situations, but if I put the same problem in front of her on a math worksheet it would be viewed as torture. Honestly, sometimes I get a headache just trying to figure out how to relate to how they think. LOL! So how do we plan on learning this year? 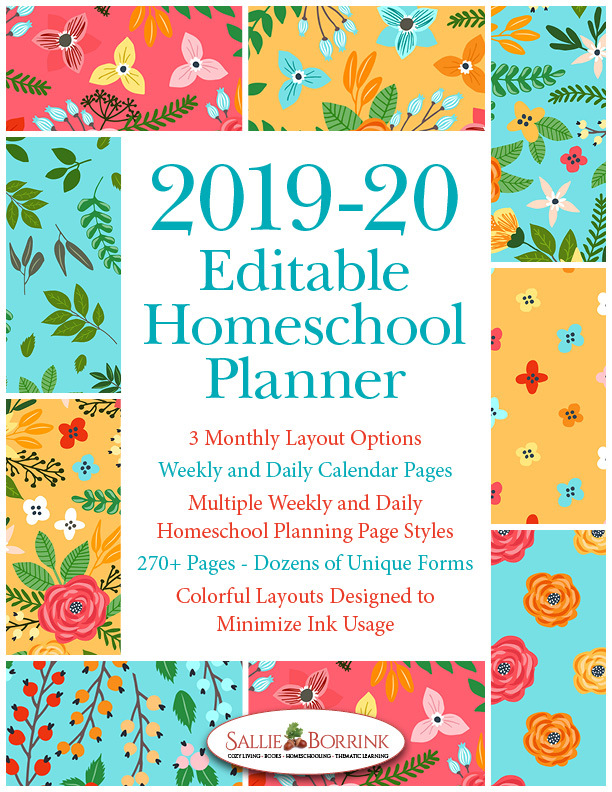 We made the decision to shift some of the homeschooling responsibilities to David. For starters, David is going to spend more time doing math with Caroline since they think the same way. We also tried out a workbox type method at the end of last year. I put in the work for the day and Caroline gets it out when she is ready to work on something. Sitting down and doing everything all at once does not work. At all. She likes the autonomy of choosing what she is going to do and when. This is the best system we’ve come up with so far. Not perfect, but our best option at this point. The biggest challenge for me is keeping accurate records of what Caroline learns. She does self-directed learning stuff all day, but most of it never gets written down. Somehow I have to find a way to keep track of that information. That’s the number one homeschooling goal for me this year. Asking her is viewed akin the The Inquisition. If you have any suggestions, I’d love to hear them! One of the reasons we homeschool is for the freedom it affords us. Top of the list for us is to allow Caroline extended periods of time to play and use her imagination. This is still her primary mode of learning and I suspect this will continue for a number of years. While play is important for all children, it is critical for someone like Caroline. This is why I say we are learning and doing school all day even though very little formal instruction takes place on some days. Last week we started using Always Icecream, a learning website for girls. I’ll be writing about that later this week and sharing a promo code so if you are interested make sure you are subscribed to my website so you don’t miss it! Caroline learns best through websites, videos and the like so I hope this will be a good fit for her. We started notebooking last year and that seemed to work well. She likes to create things and enjoys going back and seeing what she did earlier in the year. So we will notebook to keep track of what we do. For example, if we read a book I will have her draw a picture about it. The hardest part of notebooking is that she does so many things that I don’t get a record of. I need to stay more on top of this. It took me four years, but I finally figured out the best way to do math is to allow Caroline to wander around the learning room while we do math on the dry erase board. I write one problem on the board at a time and she dictates to me how to do it. I erase it and put another one up. It is honestly the best way. I still have not decided on a specific math program or if we will even use one. Right now I have printed off some math checklist/assessments for different grades and I’m going through them with Caroline to gauge what she knows and what she doesn’t. 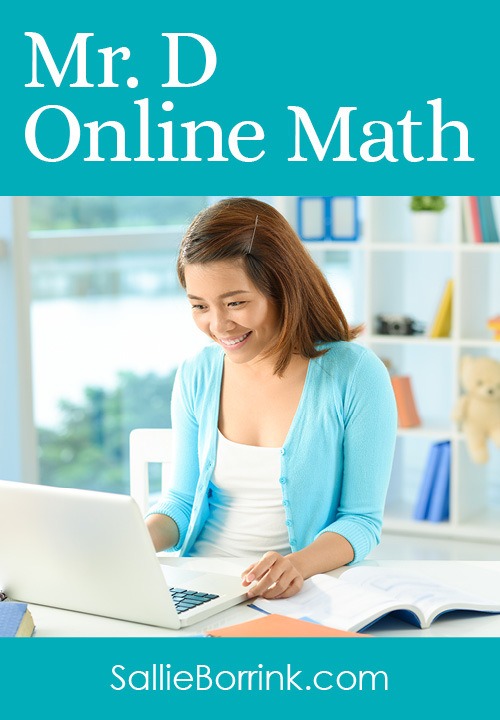 She has figured out a lot of math concepts on her own and with computer programs. If she can demonstrate she knows something, I’m not wasting her time or mine addressing it again, especially since repetition is actually damaging for visual-spatial learners. We also can use math on Always icecream so I think that will factor in as well. State history is required in fourth grade, so we will do it this year. We’ll find some good books at the library and read about Michigan. Hopefully we will be able to visit the state capital as part of this study. Science is still a part of our every day living. We are constantly looking up science topics online or getting books from the library. I have no set plan for this. I believe at this age interest-led learning is still best. Caroline constantly learns science via websites, YouTube, BrainPop, etc. We still take a very casual approach to nature study. I incorporate writing in various subjects when it works. Given Caroline’s dysgraphia, writing is something we only do on an as-needed basis at this point. I still have her dictate to me quite often. Caroline will be taking these at our homeschool co-op. We’re going to give Rosetta Stone French – Level 1 a try this year! I received a copy to review and I’ll be writing about that in the future! Caroline chose French. I took two years of German at Michigan State, but she had no interest in German. David took French in high school so guess who will probably be doing foreign language with her? LOL! So that’s a bit what we have planned! What do you have in the works for your child? See more “Not” Back to School Curriculum Week posts here! 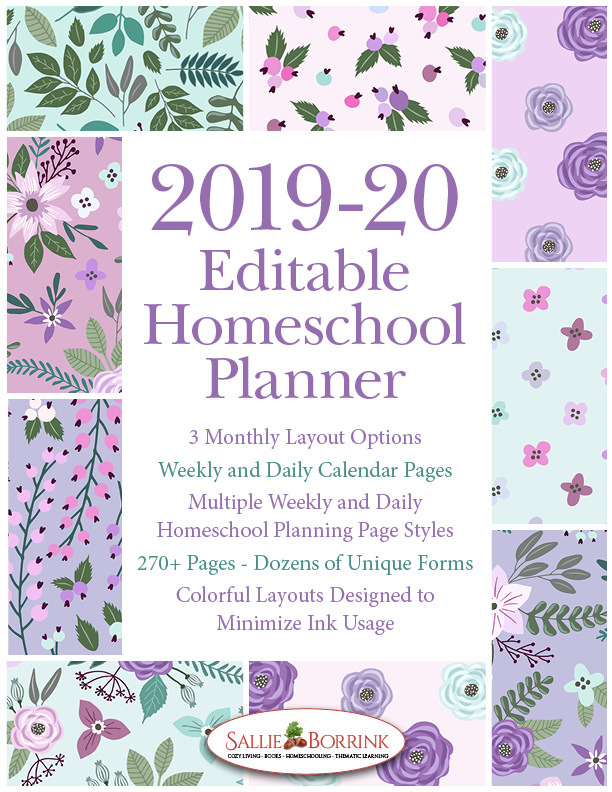 For homeschooling recordkeeping, I have a logsheet up on the wall next to the family calendar, with a pen, and I write things down as I see them happen or as I am going by and happen to remember. I don’t catch everything that is done and learned, but it’s clear evidence of effort and progress over time. She is 15 now, but we only started homeschooling last year when I realized she was a VSL and public school was wasting everyone’s time. I thought she would love notebooking/lapbooking but she hates it. It feels like busy work to her.